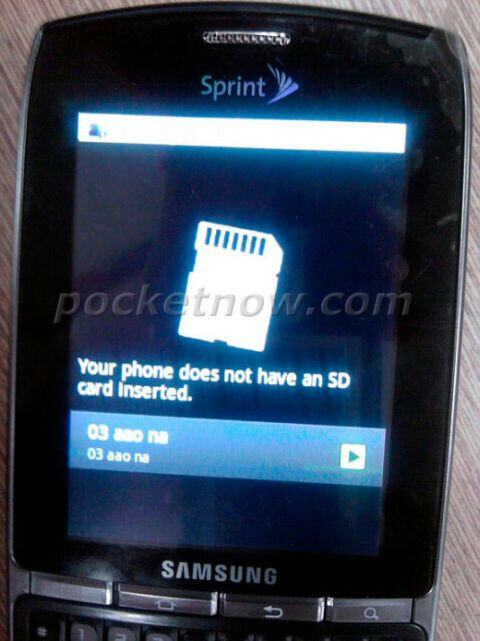 If you liked the Motorola DROID Pro for Verizon, but you're on Sprint, then you're in luck. 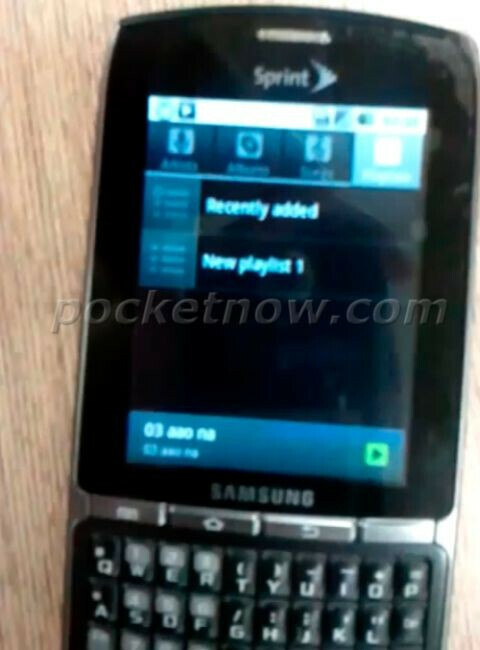 These pictures reveal a market-ready portrait-QWERTY Android device from Samsung, bound for the Sprint network. It looks like Samsung is trying to revive their Blackjack device, but in far-sleeker Android form, rather than Windows Mobile. From the images, it looks like HVGA resolution, also similar to the DROID Pro. Other details about the device remain a mystery, but we expect to hear more about it at the Mobile World Congress. It might also be debuted alongside Sprint's "industry first" event on February 7th, but we'll let you know. If this is Sprints industry first this is a MAJOR FAIL!!!! Verizon has the Droid pro what's the difference? this isn't the phone. learn to read. I may give this phone a chance. I love the classic blackberry form factor and I gotta have real buttons but the OS, although vastly improved with OS6 is still too sluggish. The last time I drifted away from RIM was the horrific Windows Mobile 6. Dude clearly they said it will b alongside the Industrys 1st!!! this looks like serious competition to the Droid Pro design wise, if it comes out strong on the UI front and adds Wimax then this will surely be a great seller.